Motex Labels and ink rollers for most Motex labelling guns. Positive ID Labels have been a supplier of pricing guns since 1997 and manufacture in house plain labels and printed labels for the Motex range of label guns. If you have older Motex label gun, we may invite you to exchange your old Motex pricing gun for new Swing label gun – at our expense – so we can provide more reliable Motex labels. 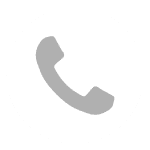 If you would like to discuss how we can solve your labelling gun problems, just call us on 01332 864895 or fill in the form below and we will call you back.